The 22nd Jagadguru, Mantra Maharshi His Holiness Sri Shivarathri Mahaswamiji believed in social change through literature. 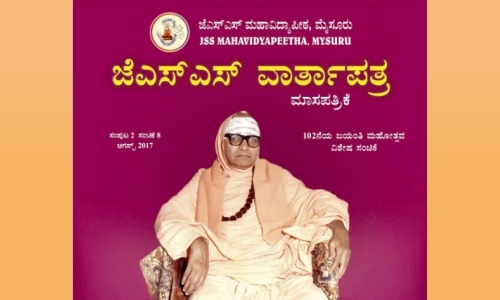 Publications such as Jagadguru Sri Shivarathreeshwara Granthamale and Veerashaiva Punya Purushara Granthamale have been started to fulfil the vision of His Holiness. So far, over 100 valuable titles have been published. Under the “Sharana Samskrithi” series, books written by several stalwarts in Kannada literature are being published. Under the “Sharana Samskrithi” series, books written by several stalwarts in Kannada literature are being published. “Prasada” is a bi-monthly (since 1985) magazine in Kannada, devoted to religion, philosophy, culture, art and Indian history. Started in 1968 as a quarterly and now brought out bi-monthly, this magazine will soon be brought out as a monthly. It has a broad readership base and acts as an exclusive forum for the dissemination of knowledge relating to religion, literature, culture and philosophy with particular emphasis on Veerashaiva literature and culture. The magazine has over 5,000 subscribers. 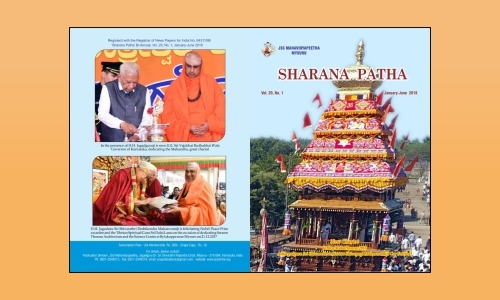 “Sharana Patha”, a half-yearly journal started in 1988, is devoted to Sharana philosophy, literature, Indian art and culture. Several articles of religious interest written by scholars are published in the journal. Presently, there are about 3,500 subscribers. Plans are afoot to publish this as a quarterly journal. JSS News Bulletin is an in-house magazine giving out information on education projects, innovations and achievements of institutions run by JSSMVP. It also covers the social, religious and cultural activities of Sri Suttur Math. To reach the publications of Sri Shivarathreeshwara Granthamale and other good titles published by other publishers to the readers, JSS Book House, a retail bookshop, has been set up.